Mark it with a DOT! 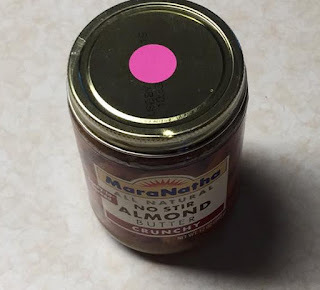 Add a colored dot sticker to high calorie-dense foods! 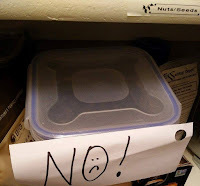 I absolutely LOVE this idea from a beautiful lady I am working with on transitioning to a whole foods plant-based diet...Thank you, Stephanie!!! She came up with the idea of "tagging" all high-calorie dense foods with a pink circle sticker to remind her to eat these items SPARINGLY! Road to success! 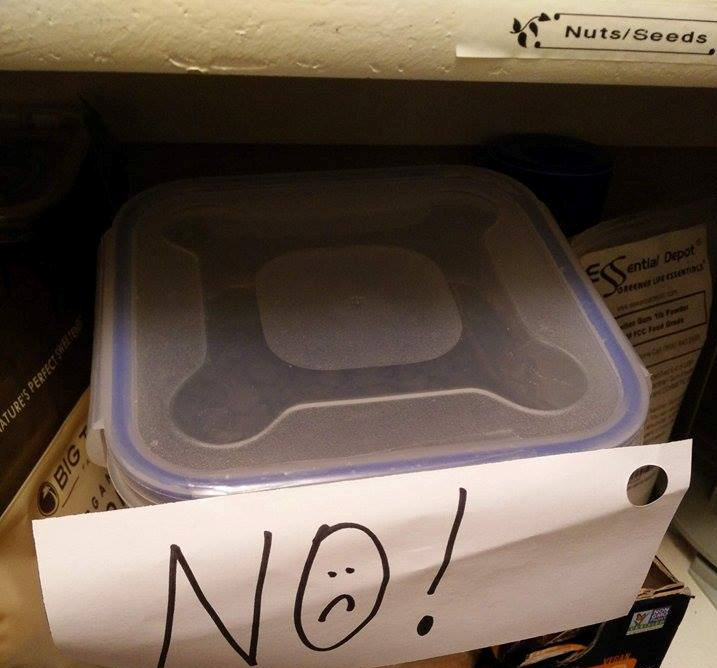 I do something similar with my chocolate chips container because sometimes, they call my name! :-/ Reminders like this help you to be more cognizant of high calorie-dense foods. If you have a cool idea that you use to help you be more aware of foods you need to limit, please message me!